Abortion occurs at similar rates in countries where it is highly restricted and where it is broadly legal. 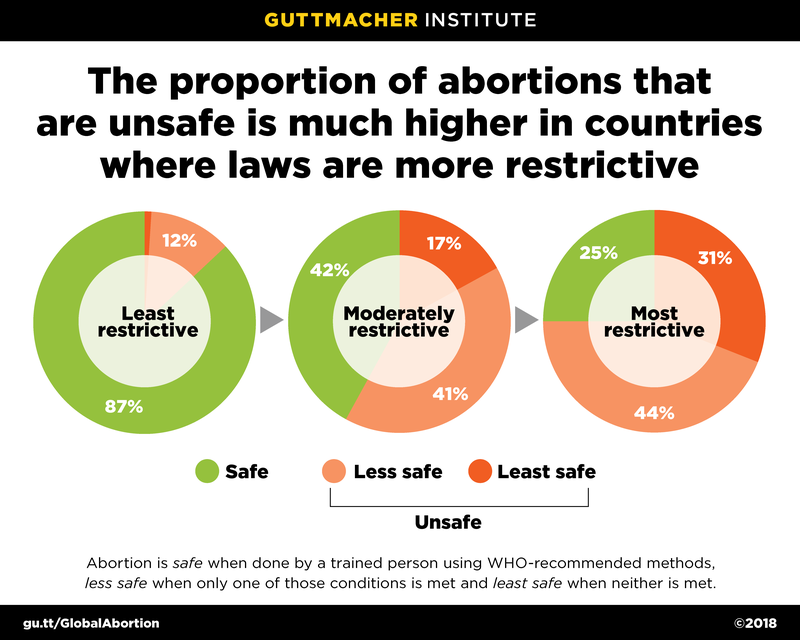 Restrictions simply make the abortions that do occur more likely to be unsafe. Singh S et al., Abortion Worldwide 2017: Uneven Progress and Unequal Access, New York: Guttmacher Institute, 2018.